CIOs, business continuity managers, and IT managers understand the value of forward-thinking business continuity and resiliency solutions. But to obtain the support and funding needed to improve business continuity and resiliency operations, IT professionals need to link IT risks to business risk. 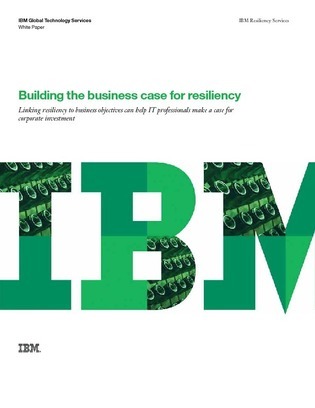 This white paper details a model that helps CIOs, IT managers, business continuity managers, and other IT professionals discuss resiliency operations across seven zones of interdependent IT and business operations. Read on to explore each zone individually and learn how this model can help you align resiliency investment with overall business strategy.